This cycling route will bring you almost all over the country. 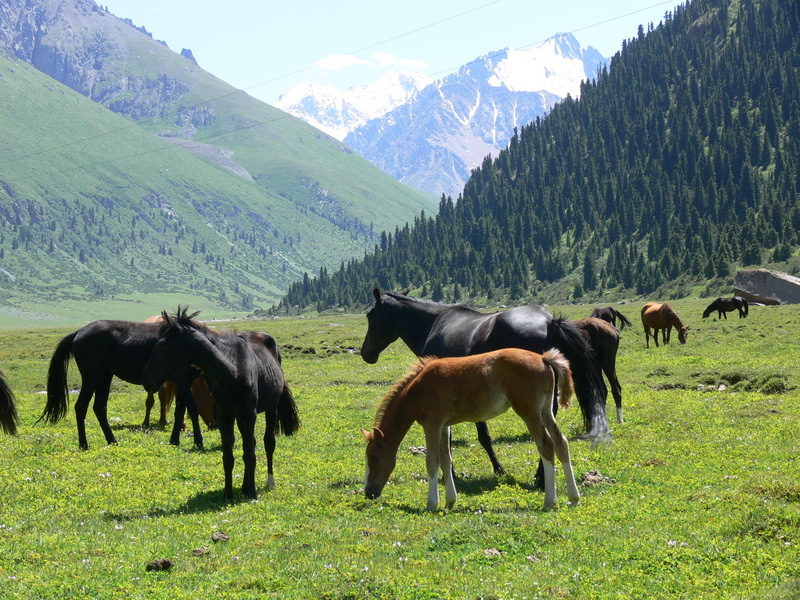 You will see vast spaces of Suusamyr valley, quiet and transparent waters of Son-Kul Lake, historical traces in Tash-Rabat and Cholpon-Ata, amazing landscapes in Naryn region, majority of waterfalls, amazing fur forests and canyons in Issyk-Kul region. Issyk-Kul Lake that is popular for its health features, crystal pure water and sandy shores will offer you to take a nice swim. And in Chon-Kemin Gorge you will have a possibility of horse riding and cozy hospitality, like on the entire way of your route. PM. Meeting in the office, Lunch in local restaurant. Preparation for the trip, rest. Dinner in the local restaurant. AM. Breakfast. Drive to Suusamir valley via “Ala-Bel” pass (3340 meters above sea level). You will be able to drive by car and cycling partly. PM: Lunch in the local café in Chichkan. Dinner and accommodation in guest house. AM. Breakfast. Drive to Kyzyl-Oi. The way is well appropriated to cycle. Dinner and accommodation in Kyrgyz family in Kyzyl-Oi. AM. Breakfast. Transfer to Chaek. PM. Lunch is in Kyrgyz family. AM. Breakfast. 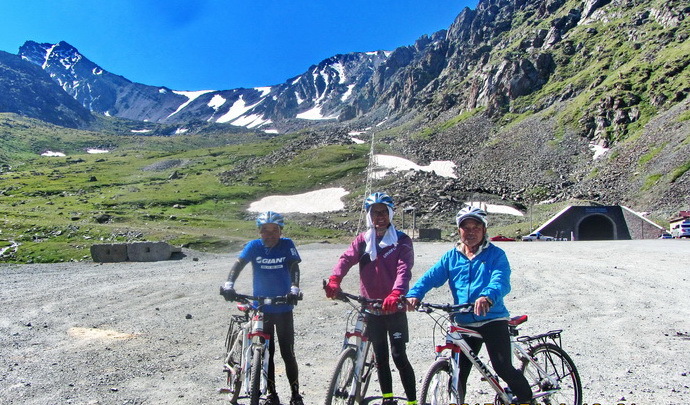 Cycling to Son-Kul lake through Kara-Keche pass. The way is well appropriated to cycle. Visiting of Kara-Keche gorge on the way. PM. Lunch in Kyrgyz family. 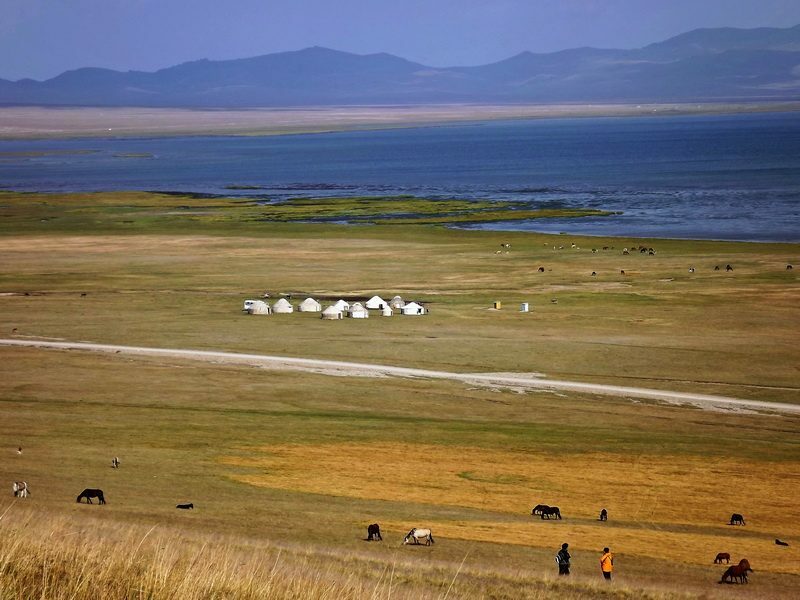 Dinner and accommodation in the Yurt camp at Son-Kul Lake – The scene that greets you in Son Kul is amaizing. The wide, brilliant, steel colored expanse of the lake appears majestic, quiet and transparent, looking like a huge bowl of pure mountain air surrounded by hills. Water and sky seem to meet and merge there. 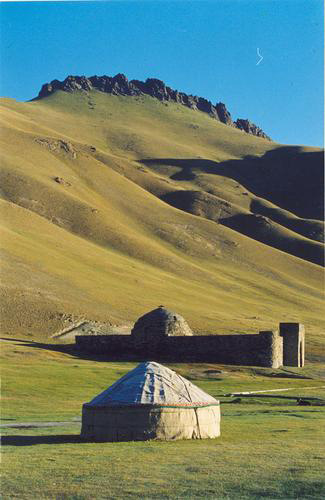 Visiting shepherds yurts, walking in the neighborhoods, ascending to one of nearby hills which will give you a beautiful lake panorama to see. Night and dinner in national Yurt camp at Son-Kul lake. Historical Tash-Rabat Caravanserai, (overnight, resting place for camel caravans) located on the bank of the Karakojun River, is the most significant architectural historical monument since the times of the Great Silk Way in the Tian-Shan. Among the mighty mountain ridges there are ruins of fortified caravanserai built by the local governor Muhamed-khan along the ancient caravan route from Semerechie to Kashgar.They were built in the 15th century (1408-1415) and were hostelries for merchants and travelers. Tash-Rabat Caravanserai is a well preserved Middle Ages monument, located more than 3000 metres above sea level in a picturesque gorge. It is a unique ancient building of stone, the largest in Central Asia. Night and dinner in Yurt camp at Tash-Rabat. PM. Lunch in Naryn town. Naryn is the Alpine city (altitude 2037 m. above the sea level) with population about 40000 people. 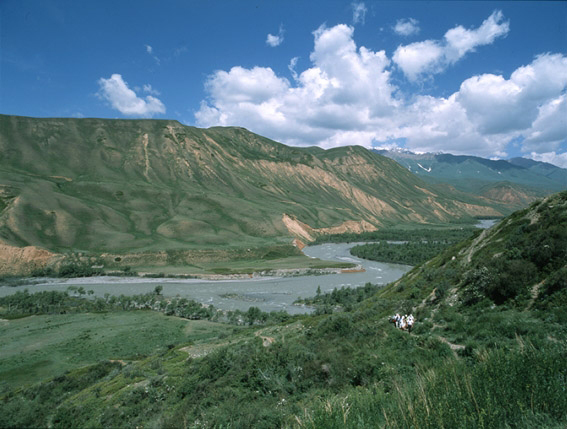 It situated on both sides of the Naryn River. The River flows about 616 km/h. It has 6 hydropower stations. Dinner and accommodation in the tents camp on the Shore of Small Naryn River. AM. Breakfast. Cycling to Gjylly-Suu mineral recorces. It is a quite hard way to get up to the mountains, but at the same time it gives quite amazing views to see. PM. Lunch on the way. Dinner and overnight in the tents camp. AM. Breakfast. Cycling to Tamga gorge. It is not very long way, but quite hard.On the way you will see amazing waterfalls and landscapes. 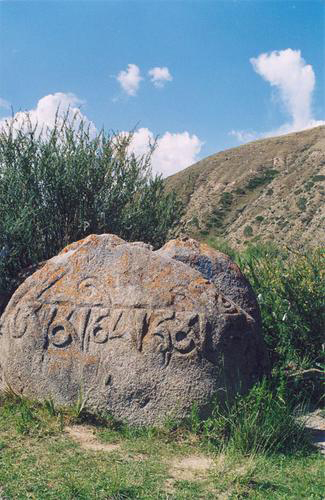 There is the legendary Tamga – Tash – a huge stone with lots of legends and very long history. Also, there is really amazing nature and waterfalls, which are great to take a light hiking to. PM. Lunch in Kyrgyz family. Accommodation and dinner in guest house Tamga. AM. Breakfast. 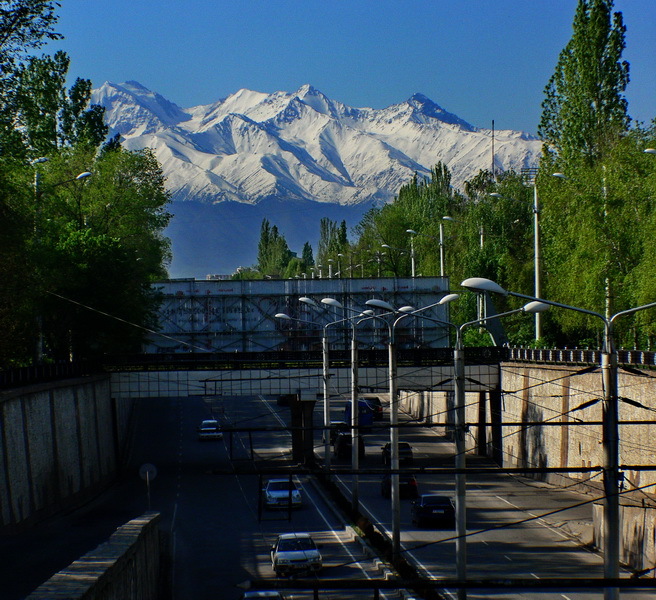 Cycling to Karakol. 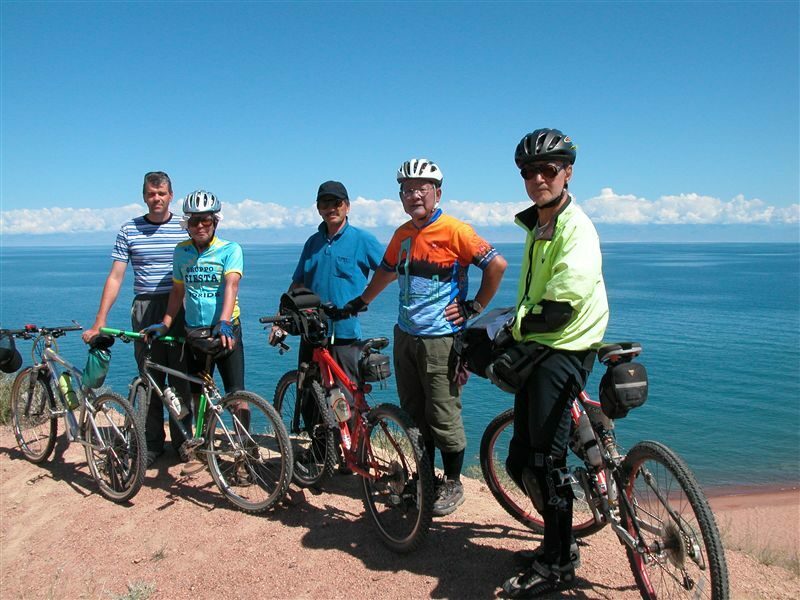 It is a great and very beautiful way to cycle along the Issyk-Kul Lake, which occupies central part of the valley formed by the circle of the Terskey and Kungey Ala-Too mountain ranges. 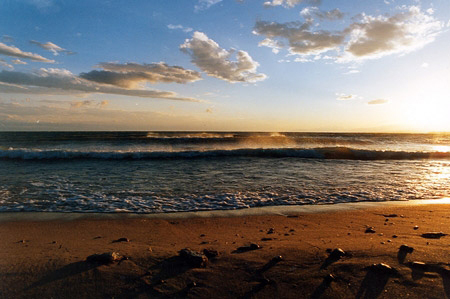 Issyk-Kul Lake is the largest in the Tien-Shan Mountains (6,236 sq. km.) 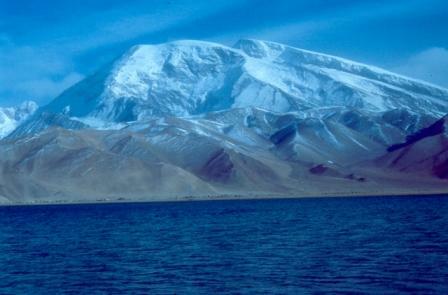 and has a maximum depth of 703 m. The altitude of the lake is 1608 m. above the sea level. Issyk-Kul Lake is unique for dozens of rivers and streams flowing into it, yet none flows out. P.M. Lunch in Kyrgyz family on the way. 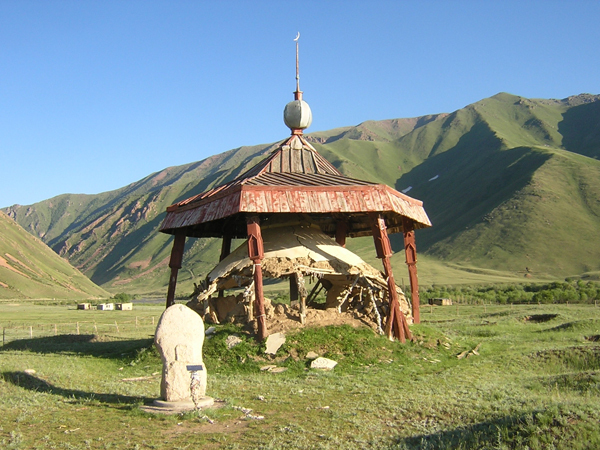 The Dungan Mosque built in 1907 is the place of worship of Buddhist from all Central Asia. It was built form wood without a single nail over a century ago and takes the Buddhist pagoda style. AM. Breakfast. Driving to Semenovskoe Gorge and continue your way cycling through Grigorevskoe Gorge. And further continue the way to Cholpon-Ata by car. Also, it is possible to see here the Cholpon-Ata Petroglyphs – Cholpon-Ata Rock paintings museum – close to the town there is a huge field of stones, many of them with pictures scratched or picked into their south-facing surfaces. They apparently date from about 500 BC to the 1st century AD. PM. Lunch in Kyrgyz family on the way. AM. Breakfast. Transfer to Chon-Kemin Gorge, where you will have a chance to cycle and see amazing landscapes. Chon-Kemin Gorge is located in the North-East part of Kyrgyzstan, 140km away from Bishkek city. PM. Accommodation and lunch in the Guest House “Ashuu”. AM. Breakfast. 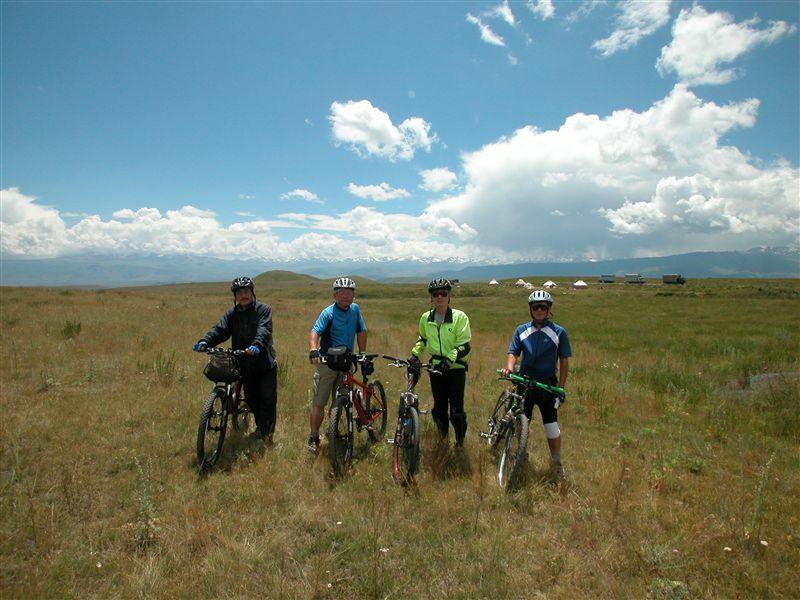 Cycling around, getting acquaintance with Kyrgyz family traditions. PM. Lunch. Transfer to Bishkek. Arrival to Bishkek, rest time, buying souvenirs and so on. The White House – a palace made of white marble is a residence of Kyrgyz government, including president’s office and the republic parliament. Behind the White House is Panfilov park with paths and arcades – the best place for rest. Kyrgyz national museum to represent Kyrgyz history, culture and arts. Freedom avenue – the widest and greenest avenue in the SNG cities with century-old oaks on both sides. Dinner and accommodation in the hotel.